The folks over at Type Token featured the work of Hong Seon Jang the other day. 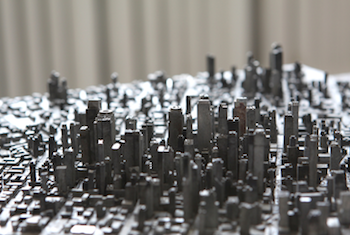 The artist has a show in Denver right now where patrons can check out his cityscapes composed of lead type. This is truly amazing and a great way to show off type pieces. 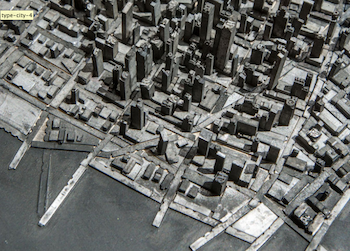 Most of the typography-related art that I run across consists of the printed letterforms, but this takes the mechanical type and pushes into the architectural realm.